Once OCD has been officially diagnosed, medication will generally come in the form of prescription psychiatric drugs. Not everyone is comfortable taking these, which is one reason why some OCD sufferers would prefer to use herbal remedies as treatment for OCD. As this is a relatively new area, there is a lot that is still unknown regarding herbal remedies as treatment for OCD. While herbal treatments can bypass the side effects that come with many prescription drugs, there is no guarantee that they will have the same effect in terms of treating disorders such as OCD. 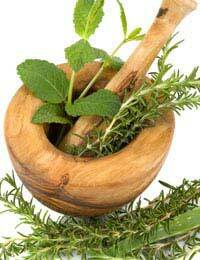 Why Opt for Herbal Remedies? Prescription anti-depressants often come with a range of side effects. While they may keep your OCD symptoms to a minimum and allow you to have greater control over your daily routine, these side effects can be unpleasant. As herbal remedies are natural, side effects are much less common. Passiflora can decrease the anxiety that many OCD sufferers feel on a constant basis. Some herbal remedies combine Passiflora with St John's Wort to treat anxiety and depression. If it is used regularly for three to five weeks, St John's Wort can reduce the effects of depression, which is often experienced by OCD sufferers. In Europe, it is used as a natural anti-depressant. Clinical studies support this, as they have shown that St John's Wort can be beneficial for those suffering from depression. Research published in the British Medical Journal has indicated that St John's Wort can have the same effect as prescription anti-depressants without the potential side effects. Flower remedies are another natural way to treat the anxiety that tends to accompany OCD. The Bach's herbal drops are a popular example of this, but you can also buy flower remedies in the form of herbal tablets. These are not always strong enough to have a noticeable effect on acute anxiety though. In this case, you may feel that Passiflora (or a similar herbal remedy that treats anxiety) is more suitable. If you are suffering from depression in addition to OCD, Valerian root can be used to treat depression-related insomnia. This is still subject to scientific evaluation, although some medical experts have suggested that it has these benefits. This can be used to treat the sexual dysfunction that affects some people who are taking anti-depressant medication. As with Valerian root, it is still subject to scientific evaluation. Many people are reluctant to take prescription medication as it does not take much to become reliant on it. Some OCD sufferers have found that although psychiatric drugs do have a positive effect on their OCD symptoms, there are some unwelcome side effects attached to this. Herbal remedies can be used as a form of treatment for OCD. There are several herbal remedies that are believed to help OCD symptoms and accompanying conditions such as anxiety and depression. These work in the same way as psychiatric drugs in that they alter the levels of serotonin in the brain. This can minimise or get rid of OCD symptoms. Most of the herbal remedies that are available for OCD sufferers are primarily related to the depression and anxiety that often accompany the disorder, rather than OCD symptoms themselves.